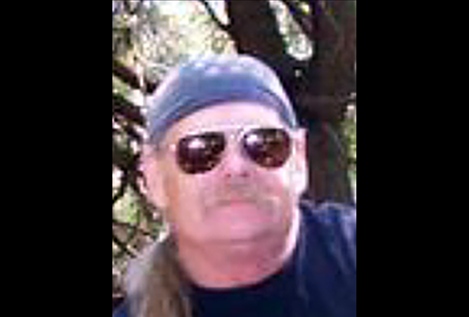 POLSON — Robert Eugene Gambrel, 67, went to be with the Lord in the early morning hours of July 4, 2018. Robert (also known as Bob or Gene) was born on Jan. 21st, 1951, in Keokuk, Iowa, to Robert Leroy Gambrel and Mary Helen (LeMaster Gambrel) Ringstrom. 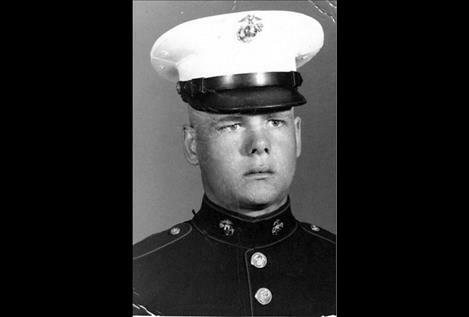 As a child, Robert lived in Keokuk, Iowa; Chicago and Hoffman Estates, Illinois, until he enlisted in the United States Marine Corps at the age of 17. He completed his training at Camp Pendleton, Oceanside, California, in 1969. He was very patriotic and proud to have been a United States Marine. Robert was an amazing artist. He always kept his hands busy, whether it was drawing on a napkin, painting on a canvas, carving a gun stock or creating a piece of jewelry; his creative mind always produced a beautiful result. Robert loved music. He received his first guitar at the age of 13 and spent his life playing and singing with friends, family or just by himself. He enjoyed writing songs and poetry. He had a gift of putting his heart on paper so thoroughly and eloquently. Robert also built, by hand, many beautiful pieces of furniture in his time, from small jewelry and bread boxes to large hutches, butcher blocks and gun cabinets. His talents were endless. Robert also enjoyed driving. Whether it was heavy equipment, four wheelers, his logging trucks, taking a family road trip in one of his many beautiful vehicles or tearing up the road on a motorcycle with his “Brothers,” he was just happy putting on the miles. He had many good friends that loved and respected him until the end and they are all appreciated. Robert had three marriages in his lifetime. He was happiest at home in Montana. He loved to hunt, fish, shoot his guns and enjoyed every moment he spent outside in God’s country. He shared his love of the road, the outdoors and music with the six children he raised. Robert was preceded in death by his parents, Robert and Mary; his step-father, John “Jack” Ringstrom; his step-brother, Daniel Ringstrom; his infant sister, Becky Elaine; his granddaughter, Stephanie Carol (Bitler) Grogan; and great-granddaughter, LaRiah Justice Julian. He is survived by his six children, Sanford Lee (Vicki), Georgann Carol (Nick), Joey Ray, Shawna Louise (Matt), Bobbie Gene (Greg) and Robert Joseph. He has 17 grandchildren and 15 great-grandchildren. He is also survived by his mom, Ruth (Bender) Gambrel. He is also survived by his siblings, Linda Lee ( Johnny), Diane Cannon (Bob), Barb Ringstrom, Brenda Lightfoot, Debbie Kennard (Mike), Jim Gambrel (Kim), Donald Gambrel (Dena), John Gambrel ( Jennifer), Tammy Ayala (Tony), and Joseph Ringstrom and many nieces and nephews. There are no services planned at this time for Robert. There will be a celebration of his life at a later date. Memories and condolences may be sent to the family at: www.thelakefuneralhomeandcrematory.com.